In 1880, Tchaikovsky completed in a short period his Capriccio Italien, the 1812 Overture and his magnificent Serenade for strings. Of these three works, he considered the Serenade as composed truly “from the heart”, and held it in high esteem. It is dedicated to Karl Albrecht, Tchaikovsky’s friend and fellow teacher at the Moscow Conservatory. The Serenade was conceived as homage to Mozart, and despite the fact that the musical style is eminently romantic, the work infuses its romanticism in a formal frame of classical proportions. The romantic style is shown not only in the melodic and harmonic elements, or in the rich orchestration, but also in a crafted network of motivic and thematic connections that links the four movements. The last movement includes two Russian folk tunes taken from Mily Balakirev’s catalogue (“A kak po lugu” in the introduction and “Pod yablo-nyu zelyonoyu” in the Allegro con spirito), and reprises for a moment the beginning of the work, creating a bold dramatic gesture that also makes apparent some of the motivic connections between movements. Tchaikovsky gave us in one single piece a beginning movement of epic proportions, one of his most charming waltzes, a beautiful élégie, and a brilliant finale that brings it all together and concludes the piece with buoyancy. Tchaikovsky loved Florence. He often fled the Russian cold and the depressions he often suffered to be welcomed by the calm and warmth of Tuscany. He would make endless walks and visit, among other things, Rossini’s grave at the Santa Croce church. It was upon his return in 1890 that he composed his string sextet Souvenir de Florence, dedicated to the St. Petersburg Chamber Music Society. Originally written for two violins, violas and celli, it has acclaimed its position in the standard string orchestra repertoire. Although being at the highpoint of fame and career, the year 1890 didn’t leave the composer unscarred. After having supported him as both friend and patron for more then a dozen years, Nadezhda von Meck, suddenly ended the relationship. She claimed bankruptcy. Tchaikovsky, now a success throughout Europe, no longer needed her money, but losing her companionship devastated him. Souvenir de Florence shows us constantly two faces. It shifts from traditional Russian folk melodies in the opening of the last movements to a Mediterranean saltarello in the middle of the third movement. The four movements are traditionally composed, and only in the last movement does Tchaikovsky genially modify the sonata form. The first movement, an elaborate sonata form, starts with a furious heroic theme, as if to celebrate the victory over a long and dark period. In an allegro con spirito the movement bursts with energy, even in the more contemplating second subject. In the development section however, the heroic theme turns more inwardly, as if falling prey to doubt and fear, only to be revived after a long struggle, by the recapitulation. The movement ends with a joyous acceleration. The second movement is a breathtaking song without words. Almost monothematic, it displays a wonderful long melody, alternating the violins and the celli. After a short intermezzo, we hear it once more, this time played by solo voices in the orchestra. The third movement is based, much like the last movement, on a Russian folk tune. Starting off simple, like if being whistled by a group of working countrymen, it quickly turns into a passionate and lamenting colour. After a short coda, the second part is a joyous collection of frolicsome dynamic outbursts, that result in the recapitulation, where the first half is displayed once more. The work ends with a masterly collage of Russian folk songs and fugues. We see Italy through the eyes of a Russian maestro. The movement shifts constantly between the light hearted Italian melodies and the proud and accomplished Russian grandeur. Much like the first movement, it now ends with a boisterous Più vivace, celebrating his return to his home country and embracing once more life with all its challenges and complexities. If one hears the name of Samuel Barber, the word Adagio is immediately comes to mind. There are not many works in the classical repertoire that can compete with the popularity of this piece, having served as music in numerous movies and as a last musical farewell on various presidential and royal funerals. Originally the middle movement of Barber's String Quartet Op. 11, he arranged it for string orchestra, when Arturo Toscanini asked him to write a piece for large orchestra, sending it along his Essay for Orchestra No. 1. It is composed in an monothematic arch form, where the melody is build up by fragments of scales, slowly crawling to a climax where all the instruments reach a high point in fortississimo. Then the opening melody is heard, three times more, every time shortened and slower, until it completely fades away. 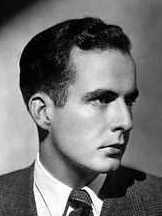 After finishing his studies at the Curtis Institute of Music in Philadelphia Samuel Barber became a fellow of the American Academy in Rome in 1935. It was here that he wrote his famous String Quartet Op. 11. Growing up in a talented generation of American composers, he searched for a personal voice, and expressed himself in a generally neo-romantic style. While others, like Aaron Copland, Leonard Bernstein, Marc Blitzstein and David Diamond, defined American music and experimented with different styles, Barber's works remained close to the tonal frame. In addition to composing, singing was always a great passion for Barber. He even contemplated starting a baritone career, but decided to stay loyal to writing music. He wrote many vocal works (accompanied by piano or orchestra), several orchestral essays, a violin concerto and the opera Vanessa, for which he received a Pulizer Prize. He's without a doubt an important figure in the music landscape of the 20th century. Shostakovich’s First Piano Concerto has enjoyed success with audiences and performers worldwide since its premiere in 1933 (with the composer at the piano). It was composed between two monumental works: the opera “Lady Macbeth of the Mtsensk District” and the Symphony No. 4 (also in c minor). Maybe because the piano concerto cannot be placed in the same category as the other two pieces, Western musicology have often viewed it as not more than a collage of quotations and trivial tunes. However, in the past 20 years, several scholars have looked more carefully into the work and suggested the existence of a deeper meaning encrypted in Shostakovich’s use of the musical language. Thus, the concerto’s transitional language perhaps communicates a strong psychological, social and political message, encoded by means of: musical quotations (for example, Beethoven’s Appassionata and Rondo Rage over a lost penny, Haydn’s Sonata in D major, Tchaikovsky’s Eugene Onegin, Mahler’s 3rd Symphony, Shostakovich’s own music for Declared Dead, among others), allusions to other styles and genres (baroque, popular songs), and the dynamic relationship between the roles of the piano and the trumpet (which deliberately evolves throughout the concerto). Regardless of any particular message one could extract from the work (or impose on it), the incontrovertible truth remains that this piece takes the listener on an broad emotional journey like very few other pieces in the concerto repertoire. Often referred to as Little Suite (a name Nielsen never used) the Suite for String Orchestra was written while attending the Royal Conservatoire in Copenhagen, where he studied harmony, counterpoint and fugue with Orla Rosenhoff. It was first performed at the Tivoli Concert Hall in 1888, where a year earlier the orchestra had already played his previously written Andante tranquillo e Scherzo. Received well by the Copenhagen public it claimed its place in the standard repertoire until today. The first movement is the illustration of a young composer, making his first steps into the music world. Slowly, starting with soft and low strings, harmonies make their way, giving room to a long and legato melody played by the cellos. After the first violins have made their entrance an even more quiet passage starts. The melody stops, while the accompaniment continues, as if thinking about the statements it made before. The character of this movement is dark, A minor, and every time the music attempts to go to a major key, it is drawn back, becoming even more sinister and obscure. The second movement is completely the opposite. A light intermezzo in the form of a waltz introduces us into a world of sudden dynamic changes and twirling melodies. Although it is again a minor key (D minor), we constantly feel the power driving us to a joyous ending; that it ends in a major key is no surprise. The last movement starts again with the gloomy character of the first movement. It reminds us of the second theme of the first movement, leading to an explosion of happiness and energy, which characterizes the rest of the piece. Nielsen wrote: “Music does not know about mourning, but it can mourn – by creating a space so that those listening can find a place for their own sorrow, without having extraneous feelings forced upon them”. Such “space” can be found in this short piece, originally written for string quartet and later adapted by the composer for string orchestra. In 1910, the painter Oluf Hartmann, Nielsen’s friend and son of the composer Emil Hartmann died at age 30. Nielsen wrote this piece in his memory. It was first performed at Oluf Hartmann’s funeral. Nielsen conducted his “Andante lamentoso” or “Andante doloroso” (other known titles) several times during his lifetime, and it was one of the compositions performed during his funeral on October, 1931. “Underlige aftenlufte” is one of Nielsen’s most beloved songs. It was later arranged for string orchestra by Johannes Andersen. The text in the original song was written by the Danish poet Adam Oehlenschläger (1779-1850). The poem expresses the longing for the homeland, provoked by the air from an unfamiliar place. In 1805, during a four-year trip to Germany, France and Italy, Oehlenschläger wrote this poem under the title “Homesick” (Hjemvee). In 1914, Nielsen was presented a project to write (together with composer Thomas Laub) a set of songs based on texts with “the right Danish character”. In 14 days he produced 15 songs, which were published in 1915 (together with a set of Laub’s songs) under the title “A couple dozen Danish songs” (En Snes danske Viser) (first book). This collection included the beautiful “Underlige aftenlufte”. How does an eighteen-year-old express his feelings of love, especially when the beloved one is his teacher’s daughter? It was in 1892 that Suk met Dvořák’s 14-year-old daughter Otylka, and the two teenagers felt the beginning of an attraction which six years later led to marriage. As many sources suggest, most probably his Serenade was dedicated to her. As Dvořák’s young and most famous student, Suk was strongly influenced by his teacher’s Serenade, written seventeen years earlier. The way the sweet melody of the first movement slowly reaches its climax, and how it’s not a sonata form, but a song-like ABA, reminds us strongly of his teacher’s composition. The second movement is a waltz with a grazioso character, where the first theme jumps between graceful light staccati and legato lines. When we arrive to the passage where the hemiolas start disrupting the fluent character, we are reminded of Dvořák’s Sixth Symphony, where a furiant (a 3/4 bar which is often alternated by a 2/4 bar) is displayed. The third movement is the clearest expression of Suk’s love for Otylka. A movement full of sighing melodies, rubati and fermatas. It clearly shows the longing of a young and passionate mind. Later in his life, Suk decided to change the instrumentation, by changing some solos into tutti passages, which for our performance have been brought back to the original version. The final movement shows Suk’s skills for writing in sonata form. The last movement, an allegro giocoso, is filled with melodies chasing each other, fortissimo explosions and, just before the end, a nostalgic reminder of the first movement, which leads into a final outburst that ends the piece. As Haydn or Franck in their times, Aaron Copland can be seen as the father of a great and industrious generation. He was born and brought up in Brooklyn in a family of Jewish-Lithuanian immigrants. Copland started composing at the age of 15. After his return to the USA from studies with Nadia Boulanger in Paris, he developed a strong nationalistic language, using native songs and jazz, inspiring and influencing numerous composers, such as Barber, Bernstein, Blitzstein and Schuman. Alongside many ballets, overtures and three symphonies, he composed various works centred around the string orchestra, as we can see in his Concerto for Clarinet, Quiet City and these Two Pieces, which were originally written as a string quartet. The development of twentieth century music cannot be seen apart from great historical events. American music in the ’30 was largely influenced by the Depression. In a time that society "fell apart", American composers found inspiration in simple folk or cowboy tunes, resulting in some pieces such as some of Copland’s most popular works, El Salón México, Billy the Kid and Fanfare for the Common Man. Written five years apart, Two Pieces (1923 and 1928) is a work that finds inspiration in simple motives and strong, dance-like rhythms. The first movement, a Tranquillo legato, is solely build upon a static but majestic four note theme, reaching slowly to a climax and then returning to a disappearing, murmuring end. Even though the second movement, an Allegro moderato, is written in a 4/4 bar, it is structured as a 3+5/8 bar, resulting in lively offbeat melodies, constantly provoking and confusing the listener. More complex than the previous, the last movement is an ABA form, using in the middle section the first theme as a dance like accompaniment for a simple, folk like hymn, that appears in every group. The opening and closing section are based on a frolicsome jumping melody, constantly changing character and appearing in each voice as a main theme or just as repeated fragments, waiting to erupt. It wasn't until his first experience with a symphonic concert that business student William Schuman decided to become a professional musician. Having spent his youth with playing the violin, writing jazz songs and above all his greatest passion, baseball, he turned relatively late to composing, studying with Roy Harris – among others. Already as a young man he was appointed at several music institutions, in positions that he would combine with composing throughout his entire life. Considering his engagement as director of the publishing company Schirmer, and later his presidency of The Julliard School, his list of compositions is remarkable. Besides chamber music, his oeuvre includes many choral and symphonic works, including ten symphonies, and making him one of America's most respected composers. The Sympony No. 5 consists of three movements, starting with a frantic Molto agitato ed energico. A twelve-bar melody is repeated twice by the violins and once by the lower strings, leading directly to the second subject. Already in the first few bars, we see Schuman's sense of rhythm, which dominates the two outer movements, where small imitating motives lead to homophonic gestures. In the second movement the listener finally gets a chance to breath. Introduced by full, warm cords, a tender melody appears in the first violins, accompanied by pizzicati in the double bass. Repeated by the second violins, and later on the violas, it grows to a climax, played by both the first violins and the celli. Accompanied by the middle strings it erupts in four great strokes of sound. We hear once more the introduction, modified, ending peacefully, in a pianississimo religioso. The final movement is a festive collection of shifting rhythmical motives, which seem too timid to surpass the piano dynamic for a long time, but when it does, it erupts in a monumental rise to the initial theme of the last movement, making room for a short but powerful coda. Born in Latvia, Petris Vasks left for neighboring Lithuania to study, escaping the ensuing stigma which followed him, being the son of a Soviet Union minister. After finishing his studies as double bass player he returned to his home country and became a member of the Latvian National Opera Orchestra, the Latvian Symphony Orchestra and Latvian Chamber Orchestra. After graduating from the Latvian State Conservatory’s composition class, Vasks began his, still ongoing, career as a pedagogue. By utilizing the new aleatory techniques, Vasks followed the lead of his mentors Lutoslawski, Penderecki and Crumb, opening a new path for young Latvian composers. Musica Dolorosa was written in 1983 after the tragic loss of his sister Marta, to whom the piece is dedicated. It’s a work full with emotional tension, where grief and emptiness for having suffered the loss of a beloved one carry the slow, but steady ongoing melody. The opening bars show us a cello motive which, unable to stand on it’s own, falls down every time. It’s only with the help of the other strings that it finds enough energy to continue, but remains static throughout the whole first section. The middle section is slightly faster, with endlessly repeated sharp notes, like a heartbeat or a pulsing headache. It leads to an enormous climax, resulting in total chaos and despair, only to slowly return to the atmosphere of the first section. "Variations: this title may be somewhat abstract. So the piece was not written out from a kind of ‘inner urgency’, on the contrary: I never felt attracted to the form of variations although I know some composers wrote their best works in this form (e.g. Beethoven and Rachmaninoff). But at a certain moment, I decided just as an exercise to write a thirty or so themes and look at their possibilities for making them the subject to variations. Strange as it is, a theme I considered not so well suited was the most fruitful. There are moments that you want to give way to your heart and soul in your music and the result is ridiculous (this is most often the case), and there are obviously moments that you put yourself into a certain pattern and as a surprise hit upon something that is more tolerable. The first six variations I wrote very fast, in a week; the other three came much later. The order was not always clear at all; whether it was a good idea to leave the people behind in the somber mood of the variation which is now the last (Meno lento), I did not know… Anyway, a final virtuosic perpetuum mobile I skipped. The overall form is better now, I think." "The first version of the Variations was written in 2001 for the piano. I think the piece is well suited for orchestrating, but an idea of the director of the Hafnia Chamber Orchestra came in between. Last June he asked me to write a version for string orchestra. And so I did this summer: a composer immediately has to start working when he is sure of a piece being performed. Of course I dedicated it to Simon Casali and the Hafnia Chamber Orchestra."